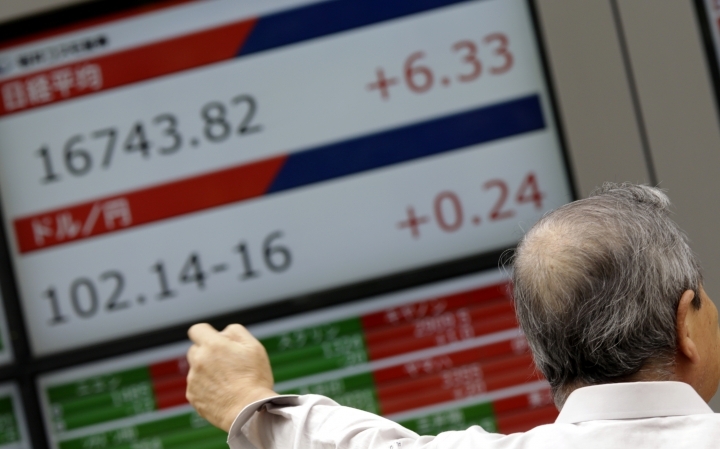 TOKYO — Global stock markets mostly rose on Tuesday as investors weighed the possibility and timing of another U.S. interest rate increase this year. KEEPING SCORE: France's CAC 40 added 0.7 percent to 4,455 and Germany's DAX rose 0.9 percent to 10,640. Britain's FTSE 100 inched up less than 0.1 percent to 6,840. U.S. shares were set for a quiet open, with Dow and S&P 500 futures both unchanged. FED FACTOR: Major U.S. banks posted solid gains on Wall Street as traders bet that the Fed was likely to nudge interest rates higher in December or even at its next policy meeting in September. Federal Reserve Chair Janet Yellen told a conference last week that the case for raising rates was strengthening given improvements in the economy. While rate increases can hurt stock markets overall, they tend to support bank shares. Also, some investors seem encouraged by the prospect that the Fed considers the economy strong enough to withstand another rate increase. APPLE: Shares in tech company Apple Inc. were down 1.4 percent in premarket trading after the European Union ruled that it has to pay $14.5 billion in back taxes to Ireland. Both Apple and Ireland said they would appeal the decision, which is the EU's latest and most aggressive move in its campaign to have multinationals pay a fair tax rate. 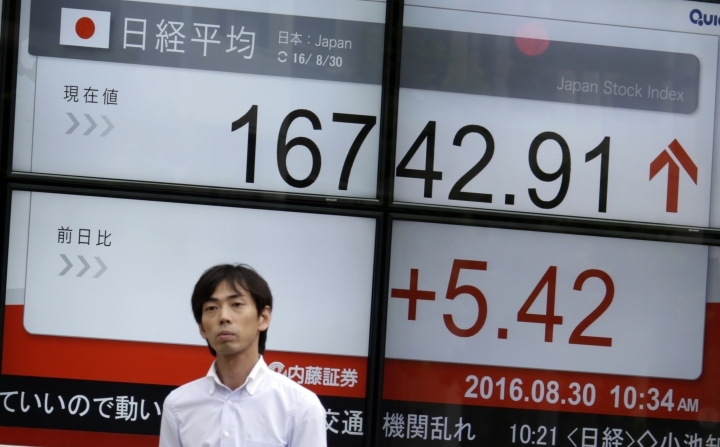 ASIA'S DAY: Japan's benchmark Nikkei 225 was down less than 0.1 percent, to close at 16,725.36. 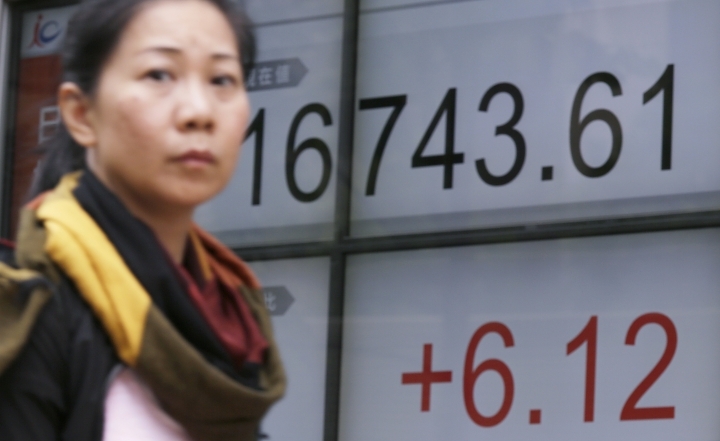 South Korea's Kospi added 0.4 percent to 2,039.74. Hong Kong's Hang Seng rose 0.9 percent to 23,028.02, while the Shanghai Composite inched up 0.2 percent to 3,074.68. ENERGY: Benchmark U.S. crude oil rose 37 cents to $47.35. It had fallen 66 cents on Monday. Brent crude, used to price oil internationally, rose 28 cents to $49.54 a barrel. 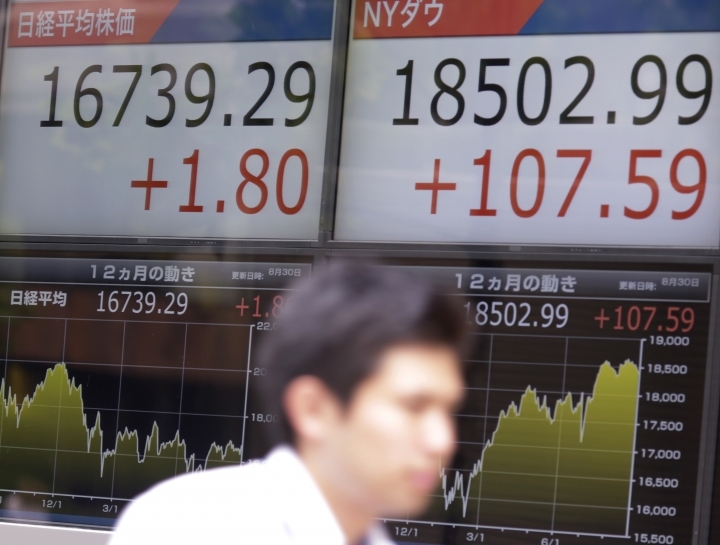 CURRENCIES: The dollar rose 102.32 yen from 102.21 yen late Monday. The euro was slightly lower at $1.1164 from $1.1177.